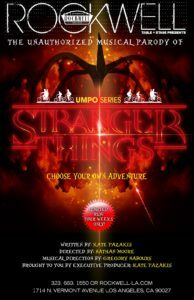 The hilarious world of UMPO (Unauthorized Musical Parody Of) gets turned “Upside Down” as they tackle Netflix’s cult phenomenon, “Stranger Things” — just in time for the Halloween season! The American fiction-horror series — created, written, and directed by the Duffer Brothers, gets the UMPO treatment by writer/executive producer, Kate Pazakis and director, Nathan Moore. Set in the 1980s in the fictional town of Hawkins, Indiana, the critically acclaimed Netflix series focuses on the investigation into the disappearance of a young boy amidst supernatural events occurring around the town, including the appearance of a peculiar girl with psychokinetic abilities who helps the missing boy’s friends in their own search. Rockwell brings to life the Duffer Brothers’ mix of investigative drama, supernatural elements, and 80s nostalgia, with a diverse cast, live band, and a spate of pop songs from that era sure to thrill audiences. In an exciting new twist, the show borrows from the beloved Choose Your Own Adventure series of books, with the audience rolling oversize dice during the show to determine the fate of the Stranger Things kids. This guarantees a new and exciting performance with constant twists and surprises for both audience and cast, as they ride the nostalgia wave to the “Upside Down” and back. The show’s supernaturally talented cast includes Tony award-winner and Celebrity Big Brother winner Marissa Jaret Winokur, Eric Petersen (TV Land’s Kirstie and School of Rock on Broadway), Emma Hunton (Freeform’s upcoming Good Trouble and Elphaba in Wicked), and Garrett Clayton (King Cobra, Hairspray Live! 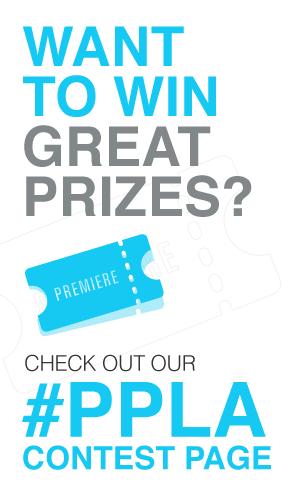 on NBC, and Disney’s Teen Beach Party). The show will kick off its 4-week limited run on Friday, October 26th. Be sure to snag tickets while you still can!